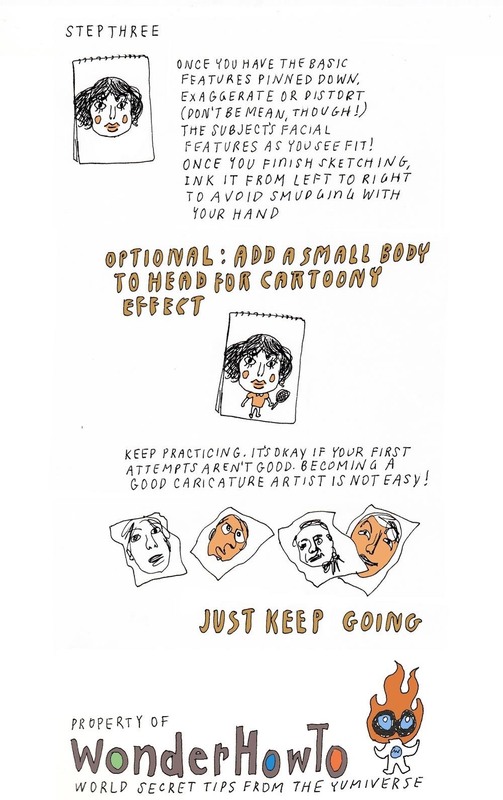 If you've ever been to an amusement park or carnival, or even just been on a stroll down the boardwalk or promenade, then you probably know exactly what a caricature drawing is—those cartoony depictions of people or things with extremely exaggerated or oversimplified features that create a comedic effect. Caricatures aren't just for street artists, though—they also work great for political satire and entertainment purposes. 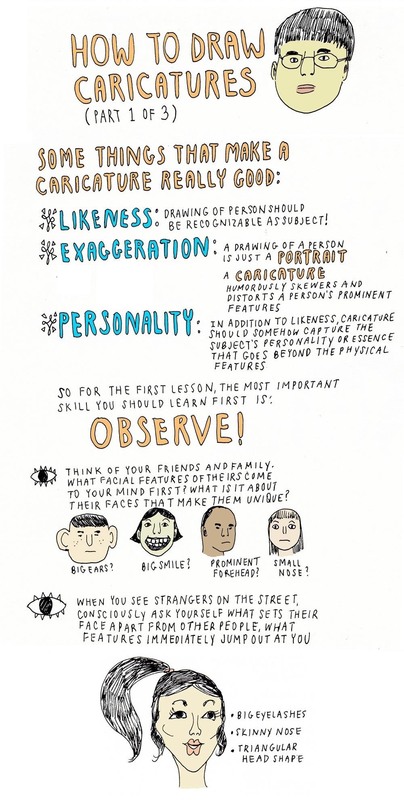 If you want to be a great caricaturist, you have to learn the basics. 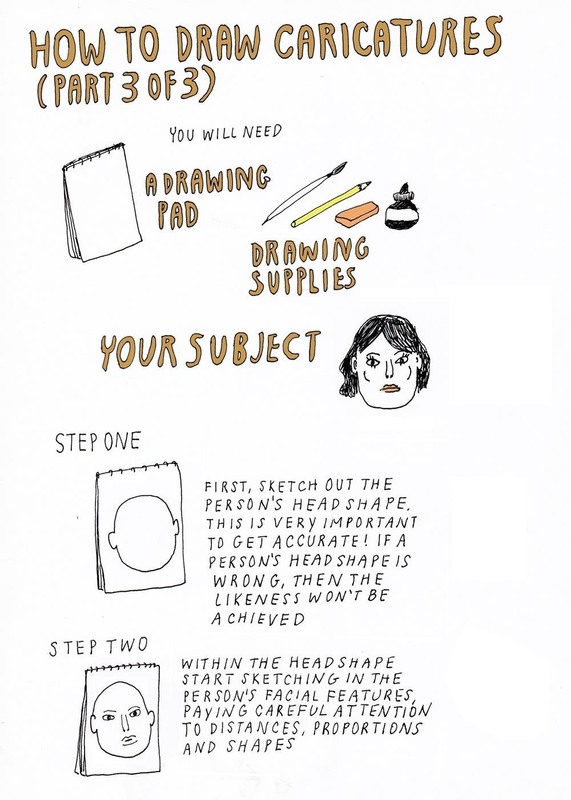 Before you bust out the pencil and drawing pads, you need to learn how to observe people's facial features, distinguishing characteristics, the shape of a person's face, the proportion of the facial features, and the distance between the different features such as the space between the eyes or the space between the nose and the lips. 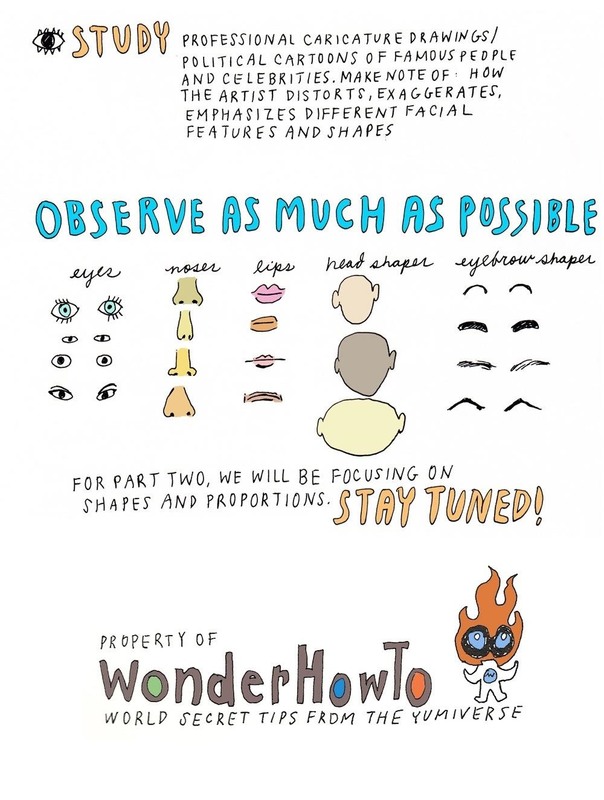 Check out the illustrations below—all three parts!—to learn the basics of drawing caricatures. You can also expand the illustrations below using these links: Part 1, Part 2, Part 3. Wow, perfect timing as I'm learning to draw right now! Also, the illustrations of WHT are (imo) the most iconic thing on this site, thanks!